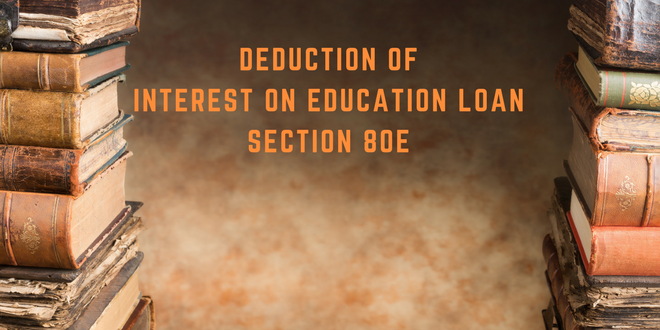 Deduction under Section 80E is allowed under Income Tax for interest paid on student loan taken for higher education. The deduction is allowed to encourage users to go for higher studies. Deduction is allowed even if the loan is taken for higher studies outside India. 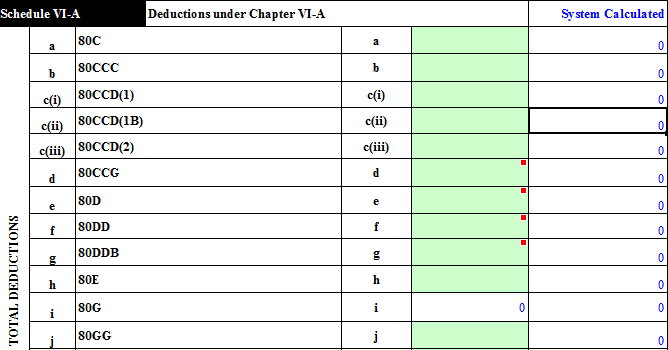 Only Individuals are allowed to take deduction under this section. Both resident and non resident individuals can take deduction. HUF can not take deduction on loan taken for education of any of its member. Deduction is allowed only to the person who has availed loan and also repaying the loan. If a parent had taken loan for his child then deduction is allowed only to such parent. The amount of interest paid on education loan is allowed as deduction. The amount of principal repaid is not allowed as income tax deduction. There is no maximum limit for the amount of deduction. However when you pay Tuition Fees towards full time education of your children, that expense can be included as part of deductions under Section 80C for which the total amount of maximum deduction is Rs. 1,50,000. If the loan is taken from any financial institution (banking company or notified financial institution) or an approved charitable institution (i.e an institution approved for the purpose of section 10(23C) or 80G(2)(a). Interest on loan taken from a friend or relative or any other person/entity is not eligible in any condition. You need to report section 80E deduction in Form 12BB if you want your employer to consider such deduction and deduct lower amount of TDS. Deduction is allowed for the year in which assessee starts paying the interest and in succeeding 7 years. After such period no deduction is admissible even if loan remains outstanding. Deduction is allowed only on payment of interest. It can not be taken on basis of interest accrued. For eg if a person has not paid its emi from F.y 2014-15 to 2016-17 and then paid the due amount in 2017-18 then the whole interest paid in 2017-18 is allowed as deduction in 2017-18 only. You can check the interest component from the loan statement provided by bank or financial institution. Most education loan comes with a moratorium period during which the person may opt to not repay the loan. The period is usually one year from the completion of course. Interest is allowed as deduction only when such interest is paid out of income chargeable to tax. Higher education covers all fields of studies (including vocational studies) pursued after passing the Senior Secondary Examination or its equivalent from any school, board or university recognized by the Central Government or State Government or local authority or by any other authority authorized by the Central Government or State Government or local authority to do so. The loan may be used for the tuition or college fees or may also be used for incidental expenses like hostel fees etc. In ITR-1: You have to enter the amount of interest in point no. 5(j).